Innovation, new technologies and global competition are the constant driving forces behind growth and expansion in the global business process outsourcing industry. Between 2012 and 2016, the global business process outsourcing (BPO) industry grew at a compound annual growth rate of 4.4% to reach total revenues of $140.3 billion in 2016. In the early months of 2017, the industry had major concerns related to increased skill shortages, increased trade protectionism, and political gridlock. While this has continued over the last few months, going forward, the BPO industry is clearly showing increased optimism overall about market growth and reduced regulations. Businesses are also encouraged by the benefits gained through innovative technologies such as cloud computing, and process automation. Global outsourcing service providers are expected to use new technological innovations to effectively address market challenges, enhance product and services, and manage talent shortages – while helping keep operating costs low. What does 2019 hold for BPO Industry? In this video and article, I’ll highlight the trends on the state of the BPO industry that we can look out for in 2019. Over the years, the business process outsourcing industry has been providing businesses with cost effective solutions. Emerging technologies such as cloud computing, social media, software and automation are being used by BPOs to reduce costs and accelerate growth. This trend will continue in 2019. Here are the three major trends expected to emerge in BPO technology in 2019. New technologies that have emerged over the past few years including robotic process automation (RPA) have begun to impact the BPO industry. Essentially, the work that gets outsourced to remote locations is the bottom-of-the-pyramid work, and as automation capabilities advance, those processes are becoming ripe candidates for removal. RPA with its cost savings, speed and efficiency is slowly making its way into all industries and all types of business processes. This will have a major impact on how BPOs operate and lead to jobs losses. Expanding enterprises do not want to hire thousands of people for small tasks such as processing insurance claims, data entry, and so on, as these tasks can be easily handled by computers. 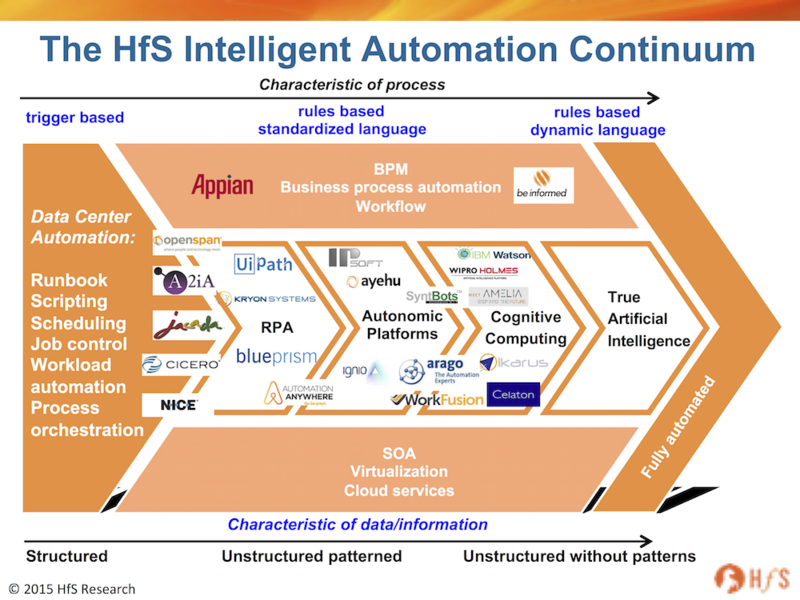 Enterprises and service providers are adopting more tools that aid automation. With customizable software, cloud based tools which promote automation, the low skill sectors of the BPO are at high risk. India’s BPO industry workforce is expected to shrink by 14% in 2021. On the plus side, automation can make way for more higher-skilled employees. In the Philippines, around 700 thousand medium and high skill jobs would be created by 2022. While it is an uphill task for many BPO service providers, the top players in the industry are already working today to make robotic process automation part of their standard client services portfolio. This is important because automation is something that is accessible to the customers of BPO service providers. Vendors or third party advisors can easily support the creation of onsite shared services teams to establish internal capabilities for robotic process automation. Therefore, if an outsourcing firm is unable to provide cost efficiencies that come from automation, its client may readily develop the process in-house. This trend will dominate in 2019 and outsourcing companies will automate more processes to bring innovation to existing clients, improve productivity and regain a labor cost advantage. Before 2000, the customer service industry was entirely dependent on websites and Interactive Voice Response (IVR) for transferring a call to the correct representative. Now, around 81% of the U.S. population has at least one social media account, leading to a major shift in consumer behavior. Browsing social media has recently become the third most popular online activity. Companies now realize that social media is a game changer. It provides an unprecedented wealth of consumer data and feedback that can enhance a company’s ability to analyze upcoming trends and to innovate. 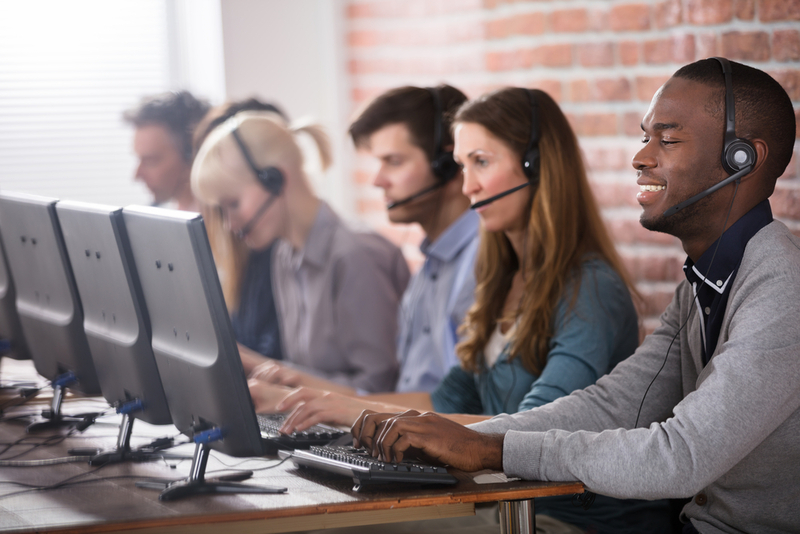 Instead of call center software programs, companies now want to invest in real-time customer engagement that will allow them to gain first-hand product insights and turn issues into new products or solutions that will address future problems. According to Credo Consulting, consumer demands for multi-channel communications (including social media, live chat, etc.) has exploded over the past 5 years. For BPO service providers, this change in customer management is a huge opportunity. Over the last few years, BPOs have been investing in the tools and capabilities to offer a wide range of social media management services. These services range from social media monitoring to business intelligence and actioning customer response. Many BPO service providers are also investing in dedicated social media service teams. Working in tandem, social media teams and customer representatives are able to deal with customer grievances much faster. In 2019, this trend to invest in new technologies, tools and teams to provide better social media management for customers is expected to continue. Small and medium businesses have a limited budget which is unable to grant them state of the art office space and infrastructure. More and more SMBs are adopting virtual storage and systems to counter a lack of data centers, hardware and software, and the personnel required to implement new technology. According to a study by Rightscale, around 95% of SMBs have now adopted cloud technologies. SMBs have begun to use cloud computing to outsource a part of their work to other companies. Improved business collaboration due to a standardized system between the BPO company and the client. 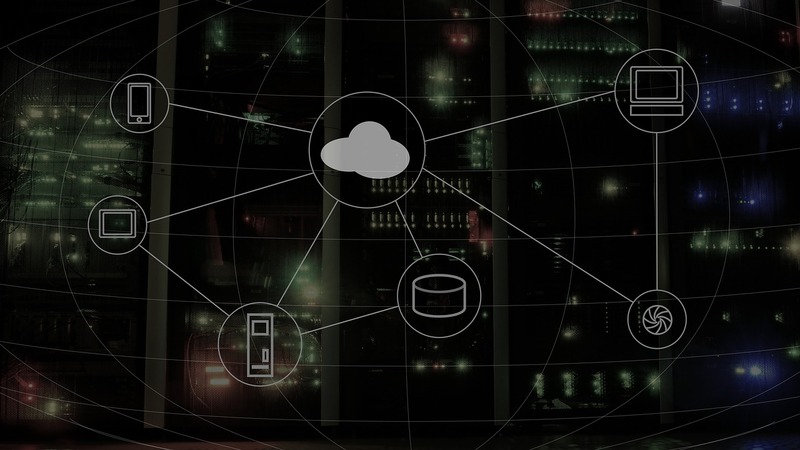 More storage on the cloud which can improve the organization’s business continuity and resilience to risks from storing data in a single location. Higher data security due to impenetrable cloud systems. 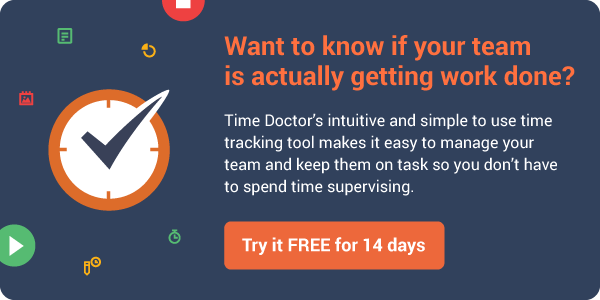 Simplified data administration, which can allow faster access to company’s resources for remote teams. Flexibility and scalability – the two advantages cloud-based BPO offers to SMBs will continue to be important for SMBs in 2019. Therefore, adoption of cloud services and investments by top outsourcing companies in this technology will continue in 2019 as cloud computing becomes more mainstream, mature and cost effective. 25 years ago BPO was synonymous with call centers. This outdated notion has been replaced with accounting, human resources, web design, coding and other tasks. A huge chunk of BPO organizations have been investing in new technologies in their supplying countries. Due to increasing levels of skilled work, 52% of businesses are concerned about skill shortage in the BPO industry. BPO powerhouses like India and the Philippines have also been facing a skill shortage over the past few years. NASSCOM (The National Association of Software and Service Companies), has expressed its concerns over the lack of a high skilled workforce in the Indian BPO sector to tackle high-end services. These services include digital technology, mobile applications, cloud computing, and more. In the Philippines, there is a growing demand for financing and accounting personnel, and experienced middle managers. Much to the annoyance of the BPO company leaders, their only solution is to hire middle managers with around 5 years experience. Demand in high-skill operations is due to the industry’s need to reduce prices for routine services. High competition has forced BPOs to invest in lower costing alternatives such as AI and automation. The threat of losing low skilled workers to automation has compelled governments as well as business leaders to educating their workforce to meet these demands. As a result of this, BPO companies like Capgemini have made it their mission to impart more skills to their current employees. Capgemini is investing in training and development as they plan to re-skill around 45,000 existing employees to prevent loss of labour due to automation. The past few years have seen a huge surge in startup growth. Startups are under a lot of pressure to succeed under time constraints with limited resources. With a small budget to hire talent, these small businesses often look overseas for cost effective labour. Companies such as Slack, AppSumo and Klout have used the talent outsourcing model to build their successful business ideas. Startups and BPOs have become more mutually dependent and this trend will become more pronounced in 2019. Startups rely on BPO for providing talent at lower costs, completing tedious tasks such as recruitment and trading. This in turn helps outsourced businesses improve their quality of work, utilize most recent technologies and produce greater revenue. In 2014, around $462 Million has been invested in BPO by startups. In the past, only large multinational BPO companies were an active part of the industry. It was really difficult to get information about the policies and contracts during this time. Most employees on the client side were in the dark about technology stack, plans, challenge areas, and other processes. The supplier side employees were not fully informed about their organizational structure, capabilities, investment areas, etc. The introduction of smaller businesses, has urged the BPO industry to increase transparency and reveal their policies, contracts and pricing. A high level of transparency is required to maintain trust between BPOs and vendors. Due to the highly competitive environment, many organizations have to adjust their policies to prevent them from losing business to more trustworthy organizations. Transparency also results in better partnerships between clients and suppliers, which is required for business innovation and better investment options (due to access to information). Government intervention has been a catalyst to the increased demands in transparency. Recently, the UK government has stated that steps will be taken to make sure there is transparency about outsourced services in response to requests for information. Other countries are also expected to come out with more transparency policies for the outsourcing industry over the next few years. After the 2016 US Presidential election, many BPO companies watched with bated breath as the new administration coming to power would have a direct impact on trade, tax policies, visas, agreements and regulations. Experts were initially uncertain on how the outsourcing sector would be affected due to President Trump’s focus on “Buy American, Hire American”. Trump’s “America First” policy has encouraged the return of anti-outsourcing bills in Congress, despite the failed attempts of the same under the Obama administration. The proposal of these bills can cause a stir within the Philippines which recently received $25 billion in BPO revenue from the US. Coupled with President Duterte’s drug war and anti-western stance, many companies are concerned over safety in the Philippines. This had lead to longer negotiations between US companies who are apprehensive about the country’s political stability. The delay in new countries entering the market also reflects on the processing of new economic zones and infrastructure in the Philippines. Despite Trump’s new policy claims, the Asian BPO Industry continues to expect unstoppable growth. Philippines expects a growth rate of 6.5-7.5% by the end of 2017. According to the Philippine IT-BPM Roadmap 2022, the industry is expected to reach around $38.9 billion, continuing to be a huge contributor to the global BPO sector. Established outsourcing destinations like India, the Philippines and Malaysia will continue to see growth in 2019, coupled with a few challenges. According to the National Association of Software and Services Companies (NASSCOM), the IT and BPO trade body in India, a total of 1.1 million people work in the Indian BPO industry. 500 companies in India offer outsourcing services to over 66 countries. About 200 multinational corporations operate out of India. The IT-BPO industry grew by 8 percent leading to an aggregate revenue of $154 Billion for 2017. The BPO sector contributes 7.7 percent to India’s GDP. The emergence of new job roles such as cybersecurity, mobile app development, social media, data science mobile app development has reduced the economy’s reliance on call centers. Robotic process automation (RPA) has begun to taken over simple jobs. Foreseeing the increase of RPA, the Indian BPO sector has prepared to re-skill their workforce. NASSCOM estimates up to 40 percent of India’s IT-BPO workforce would upgrade their skills over the next five years. Emerging skills that will be in high demand include robotics, big data analytics, artificial intelligence and machine learning. With an expected growth rate of 7-8% for export revenues by 2019 and an additional 130,000 new jobs, digital adoption will help increase the subsectors in the BPO industry. Malaysia, while very competitive as a location for global business services, accounts for only 1.7% of the total market in the Asia-Pacific region. Malaysia is the 3rd most desirable country for BPO locations due to it’s strong business environment compared to its counterparts – India and China. Malaysia’s business process outsourcing market is predicted to reach 1.4 billion and grow at a compound annual rate of 7.9% by 2021. The Philippines has overtaken India as the leading call center country. This subsector contributes around 10% to the country’s economy. 2016 was a great year for the Philippines BPO industry. The industry experienced a 17% growth and had created 1.3 million jobs. Expanding BPO operations outside of the capital Manila to other provincial regions such as Cebu and Davao was a key factor for the country’s recent growth. However, the reduction of tax holidays for the BPO industry may deter foreign companies to enter the Philippines market in the coming years. After BPO, the emergence of KPO (Knowledge Process Outsourcing) sector can cater to new demands and offer more specialized roles such as equity research, market research, web design, and development, etc. This will be a sector to look out for in Philippines in 2019. Experts predict that by 2019, BPO services may become the primary source of revenue for the country. The industry is also expected to grow 9% annually for the next five years. As per the predictions, the BPO industry is set to be bringing in over 7 million new jobs and $40 billion in revenue. Oversaturation and reduction in business growth in the top 3 outsourcing countries has led businesses to search for alternative cost-effective locations. Due to the emergence of cloud computing, Eastern and central Europe has seen a 13% growth in the data center market in 2014. Among eastern European countries, Bulgaria is currently the 12th most desirable outsourcing location in the world. Having the lowest salary amongst EU nations of around 235.62 Euros per month. Availability of workers speaking all major European languages. Having a large talent pool of developers with deep technical expertise. Romania is currently the fastest growing economy in the EU with 5.7% growth rate. As a result, BPO companies have Romania in their sights for their future expansion. Romania is currently the 13th most desirable outsourcing location in the world. Fastest internet connection amongst EU countries. 54% of graduates have a background in science and technology. Asian, European, and American companies have chosen Africa and the Middle East for their BPO locations. Egypt is currently the 16th most desirable outsourcing location in the world. Government offering tax incentives to outsourcing businesses. Booming infrastructure including Silicon Waha’s technology parks. Skilled labor well-versed in European languages such as French, German, English. Latin America has seen a 1644.3% growth in internet usage over the last 15 years, hence uncovering a huge talent pool for outsourcing. Mexico is currently the 8th most desirable outsourcing location in the world. Huge talent pool of around 500,000 IT professionals working in the BPO sector. Despite having the lowest number of bilingual professionals in Latin America, Colombia is currently the 20th most desirable outsourcing location in the world. Minor time zone differences between US/Mexico. Investment growth due to depreciation of the peso. Top BPOs in Colombia – Sitel, Convergys, Atlantic International. The outlook for global outsourcing industry in 2019 is optimistic growth. Growing competitiveness from new outsourcing destinations coupled with the pressure on businesses to run cost efficiently will be the driving forces behind the accelerated growth in the BPO industry. While the industry will witness cost-cutting by businesses, it will continue to grow by 6 percent annually for the next six years, according to a report from global property firm Cushman & Wakefield. Automation will continue to be a major threat to low skilled jobs in the BPO sector. Many of the major outsourcing companies intend to make a 43% investment in robotic automation in the coming two years. Governments of leading BPO nations will focus on improving education to position itself for rising demands in 2019. To meet such demands, existing BPO employees will be expected to broaden their skill sets. Startups will also play a key role in the outsourcing sector starting from this year and this trend will continue in 2019. Moreover, the sector will benefit from increased transparency in global outsourcing policies. Overall, the global outsourcing industry is predicted to reach $262 billion by 2020. Hi! I totally agree with you that process automation is the upcoming trend in the BPO industry for 2019. Robotic Process Automation (RPA) leads to cost saving and helps in efficient resource allocation. Even in India, all the major BPO service providers have already started providing RPA to its client as it is a win-win situation for both, the service provider and the client. Thank you, Greg, for the overview and mentioning Eastern Europe. Regarding Bulgaria and Romania, they have indeed rising BPO sectors. The challenge is that the personnel costs are rising there as well. On the contrary, Ukraine offers a much more stable cost dynamics with a significantly lower cost level. Having about 45 mln population, it is definitely a destination worth considering while looking for a BPO or ITO partner. Hi! Thanks for this article. It was my pleasure reading it. You should include the countries outside of EU, that are not a part of the EU but still very suitable for outsourcing. I’ll take Serbia for example. More and more companies from San Francisco, CA, USA, and Dallas,TX, are outsourcing teams from Serbia. People are hard workers, loyal and on top very fluent in all major world languages like English, Spanish and German! Hi Greg, this is Rolana Rashwan from the Egyptian IT Industry Development Agency (ITIDA). Thank you for the informative article. I would like to get in touch with you for some updates on the Egyptian industry and top global delivery centers providing BPO from Egypt. Looking forward to hearing from you. Very detailed piece on predictions and trends of the outsourcing industry! This makes the future of business really look like the future. Having offices all over the world and a global talent pool will be the next big thing. Thanks for sharing your interesting insights on what’s going to happen this year!